Lip fillers are one of our most popular treatments. Thin lips are an unfortunate reality as we get older. Fuller lips can make you feel younger and more confident. If you are one of the people who are very conscious about your lip size or simply would like to improve the appearance of your lips, dermal fillers can provide you with great results. The Hyaluronic acid injections can help to enhance the look of your lips with volume and hydration. Quick, instant results that are long lasting, but not permanent and can be reversed. Which parts of the lips can be enhanced? Vermillion border (lip outline): Enhancement of the outline of the lips provides great definition and enhances the shape of your lips. This can also increase the width of the lips, and help your lipstick stay on longer andprevent “bleeding” of the lipstick into the fine lines around the lips. Lip augmentation (enhanced lips): This targets the fleshy part of the upper and lower lip to give volume, fullness and a beautiful pout. Enhanced cupid’s bow: This adds a beautiful bow to the upper lip giving super-defined lips, and aids contouring above the lip. Oral commissures (the corners of the mouth): With age, the corners f the mouth can “droop” making us look sad. Gently lifting the corners of the mouth with a gel like filler give you a more youthful, happier looking smile. Marionette lines (lines from the outer corners of the mouth to the jawline): Often referred to as “puppet lines”: Injecting a gel like mouldable filler into these lines introduces moisture to the area instantly softening and improving the skin elasticity. Nasiolabial folds: These are the lines between the nose and corners of the mouth. These lines are formed by laughing and smiling – healthy for the heart and soul. And reflection of the lives we lead. But, unfortunately, over time, these lines can become permanent forming lines, wrinkles and folds. Injecting filler into these lines can dramatically and instantly create a more youthful, fresh faced look boosting your confidence no end. Who is suitable for lip enhancements? Lip fillers are ideal for people wanting fuller lips, or that have developed lines around their top and bottom lips. Here at Smile Clinq, London, we have also noted an increased demand in men requesting more subtly defined lips that suit their more masculine features rather than the more plumped effect that suit a feminine face. How soon will I see results, and how long do the results last? Lip filler treatments give instant results, and effects last from 9 -12 months. Is the treatment safe and when can I return to work? Yes. The treatment is completely safe. And, it’s good to know that if you don’t like the results, the products can be broken down and the treatment reversed. 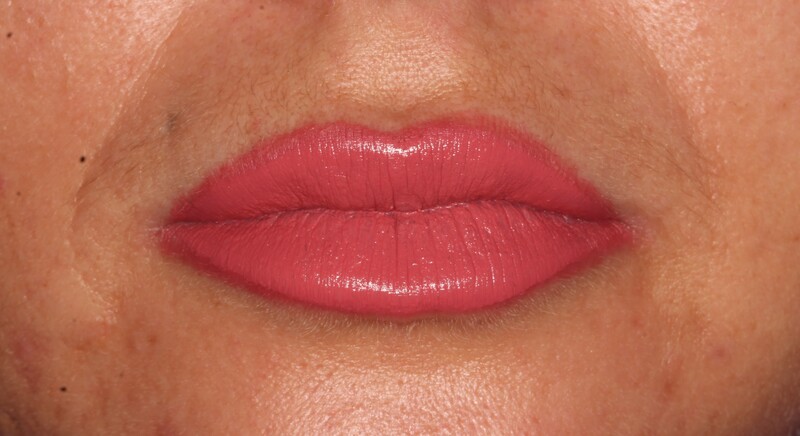 Some swelling is expected, and therefore the full effect of the newly defined lips are seen approximately 2 weeks later. Most patients return to work immediately. Some minor swelling and bruising is usual however, and therefore you should bear this in mind when booking in for treatment. Do I need to do anything before the procedure? Some minor bruising can occur after treatment, so you may wish to purchase some arnica cream and/or tablets to reduce this. Arnica tablets taken 7 days before treatment can reduce the amount of bruising after treatment. We advise avoiding hot baths and hot environments for 24 hours after treatment, and to void touching the area. You can apply light make-up immediately after treatment, and we recommend the use of ice-packs or cold compress immediately after treatment to reduce any minor swelling. The procedure is carried out by an experience dentist who has many years of experience providing these procedures. The skin is cleansed and the filler is applied using very fine needles or cannulae designed for these types of treatments. This procedure for lip enhancements take around 30 minutes. What happens if I don’t want to continue having lip enhancements in the future? Your lips will gradually return to their normal shape and anatomy once the product has dissolved. There are no long term harmful or detrimental effects.